The sculpture, an Imperial-age replica of the original from the Hellenistic period, is documented in the Gallery since 1704. 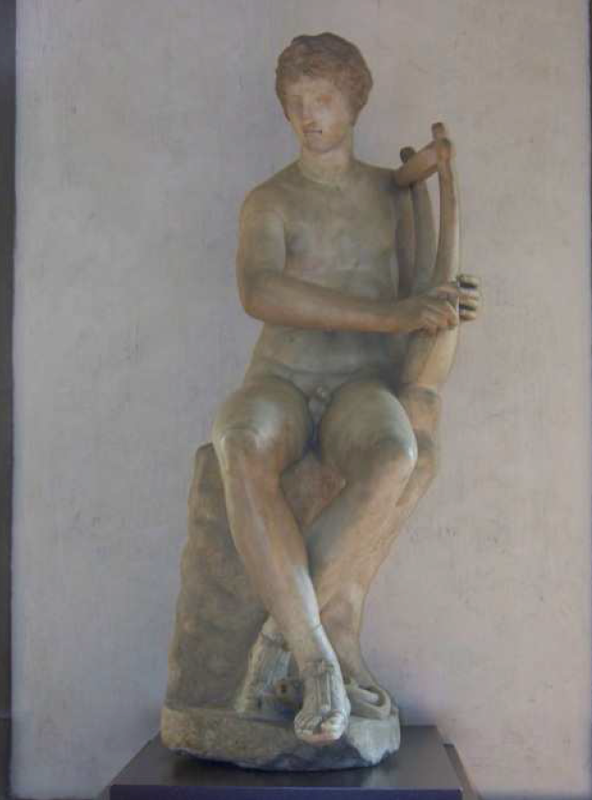 It represents Apollo holding a cithara, seated on a block of stone with an open-jawed serpent between his feet. It is one of the most important examples of reproductions after the Hellenistic model of the seated faun or Apollo, a III-Century-B.C. Eastern Greek elaboration. The sculpture has never been restored in the last half-century and the thick layers of accumulated incoherent materials alter the overall readability. The recovery of the original epidermis will offer the opportunity for an accurate mapping of the artwork and the investigation of still unsolved questions such as the actual age and pertinence of the head. The restoration intervention will include petrographic analyses to identify the possible presence of original polychromies and will be amply documented through a photographic campaign of the different restoration stages. With Special Thanks to Joseph C. Raskauskus, Esquire for his MATCHED GIFT! Click here to view the restored images….